As I put out photographs of that truly moving moment on Twitter there were the usual derisive responses from bakht’s, perverts and trolls questioning the basis of that operation in Sri Lanka. Perhaps, it is now time to revisit that forgotten war and the lessons it holds for India’s quest to become a great power. It all began 30 years ago, on July 29, 1987, with the signing of the Indo-Sri Lanka Accord between the then Prime Minister late Rajiv Gandhi and the Sri Lankan government under the leadership of President J.R. Jayewardene. The Rajiv-Jayewardene Accord was expansive in its scope as it attempted to holistically address the three prickly disputes between India and Sri Lanka — strategic imperatives, people of Indian origin in Sri Lanka and Tamil minority rights in Sri Lanka. The success of the accord depended on unstinted political support by both the nations. India had historically affirmed its support for a unified Sri Lanka and opposition to the formation of an independent Tamil Eelam. Concurrently, India was sensitive to the Tamil quest for equitable rights in Sri Lanka. Even the Rajiv-Jayewardene Accord had its roots in India’s effort to give form and substance to it. The robust empathy of the people of Tamil Nadu for their brethren in Sri Lanka was a key influence in shaping India’s policy on this issue. Sri Lanka was compelled to factor Indian concerns into their strategic calculus as it executed its hard power strategy against the Tamil militant groups. The Accord was distinctive as it delineated a new threshold with respect to India’s enunciation of military pow-er, never applied after India’s war with Pakistan in 1971 that created Bangladesh. It was under this Accord that the IPKF was sent to Sri Lanka’s northern and eastern provinces, to “guarantee and enforce the cessation of hostilities” between the Tamil separatist groups and the government. However, the situation turned into a military confrontation between the IPKF and the Liberation Tigers of Tamil Eelam (LTTE), which refused to disarm and join the political mainstream. However, what was far more reprehensible than the conduct of Premadasa was the fact that the V.P. Singh-led Janata Dal government, supported by the Bharatiya Janata Party and the Left decided to withdraw the IPKF. They fig-leafed the decision in a legally-correct proposition that since the host nation wanted India to leave we had no business to stay. In reality, this was largely driven by the then foreign minister and later Prime Minister Inder Kumar Gujral’s obsession to get doctrines named after him. The real seeds of that doctrine, however, germinated in the decision to withdraw the IPKF from Sri Lanka in December 1989. Both VP Singh and I.K. 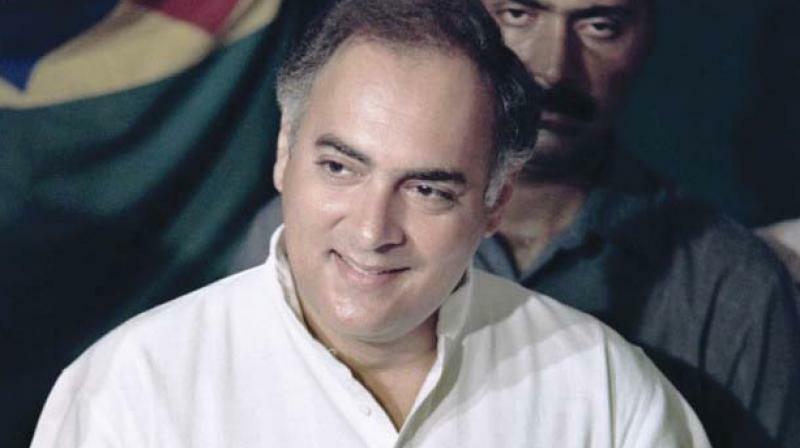 Gujaral were determined to establish that Rajiv Gandhi had erred in sending the IPKF to Sri Lanka and therefore, without caring for the consequences that it would have on India’s desire to establish a larger foot-print in the Indian Ocean region as well as the implications on the Indian Army’s reputation that it could be checkmated by an irregular guerrilla force, they ordered a hasty and ill-prepared withdrawal. The repercussions of that decision haunt us even today, making India a risk-averse nation, unwilling to put boots on the ground even when it’s strategic interests are clearly in play.